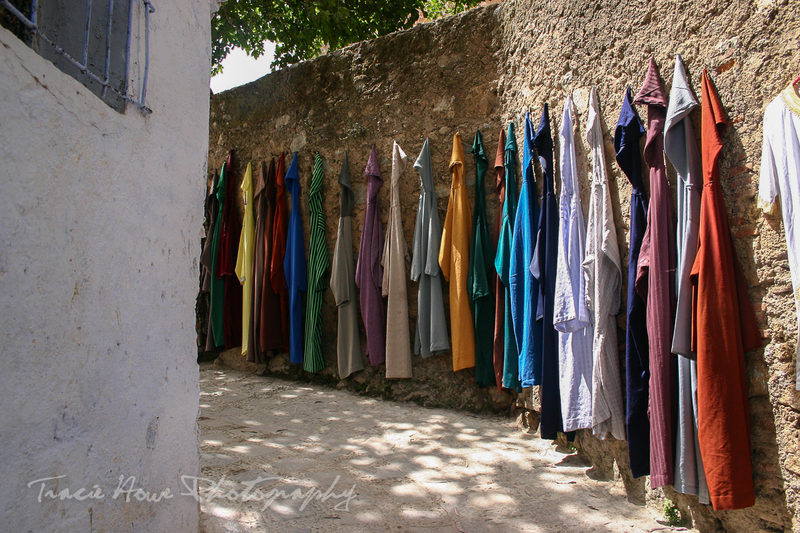 Throwback Thursday - Sketchy characters in pretty blue Chefchaouen The misadventures of a restless photographer. Travel photographer and travel blogger, Tracie Howe, wanders the globe seeking out new adventures and photo opportunities to blog about. Join her for a unique perspective on travel, travel photography, and travel tips. 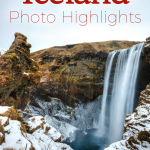 Tracie Travels provides travel and photography tips, while featuring inspiring travel photography and quirky personal experiences in beautiful destinations around the world. I thought I would stay in Morocco for my next Throwback Thursday post. 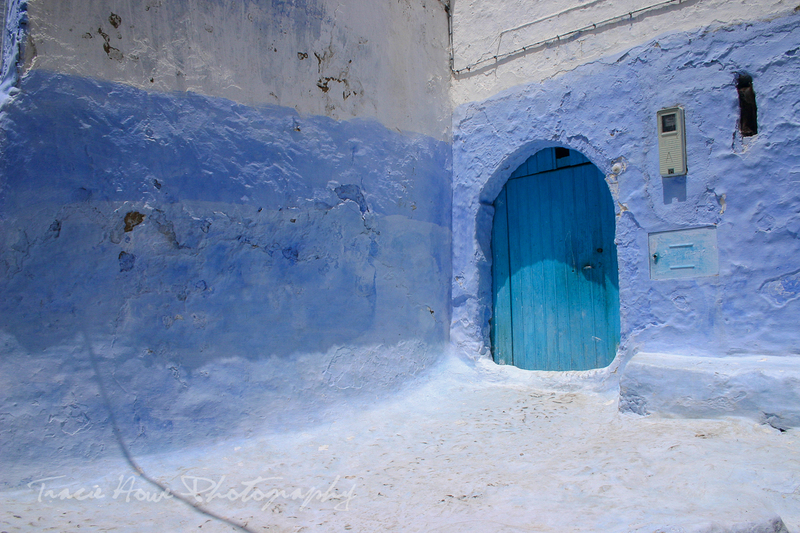 Mostly because I have lots of nice photos of Chefchaouen that I am anxious to share. 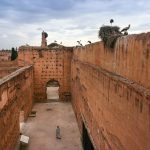 The bigger cities in Morocco have an old town, called a Medina, where the streets are walled and typically very narrow. Cars aren’t even allowed to pass through. These are located in city centers, exotic links to the past, still bustling with merchant activity. 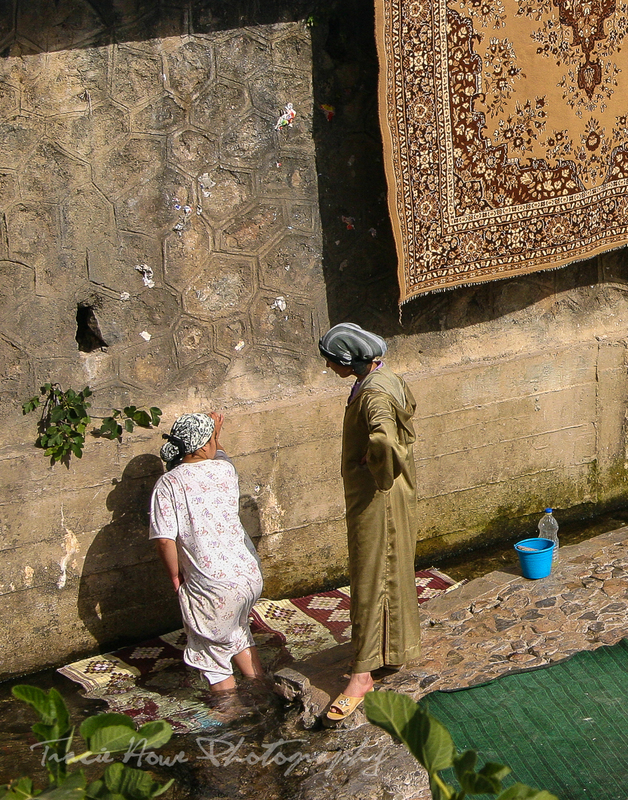 All Medinas that I visited in Morocco were fascinating and beautiful, each in their own way. 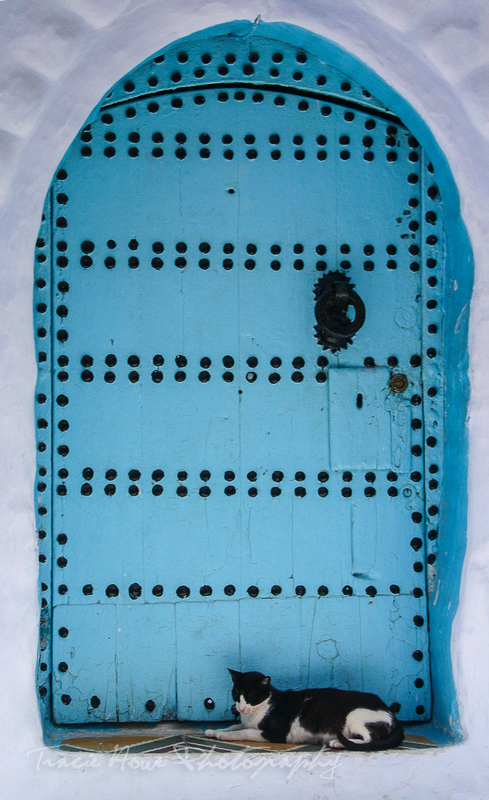 Chefchaouen was no exception. 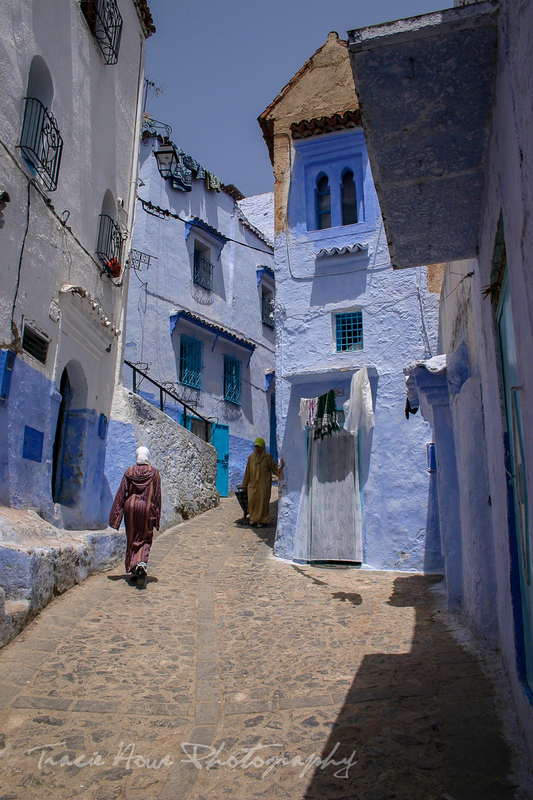 It is one of the prettiest cities I have ever had the pleasure to visit, mostly because its entire Medina is painted blue! As if the white washed walls with varying shades of blue didn’t make this city pretty enough, the famed Blue City sits nestled in the foothills of the Rif Mountains in the North. 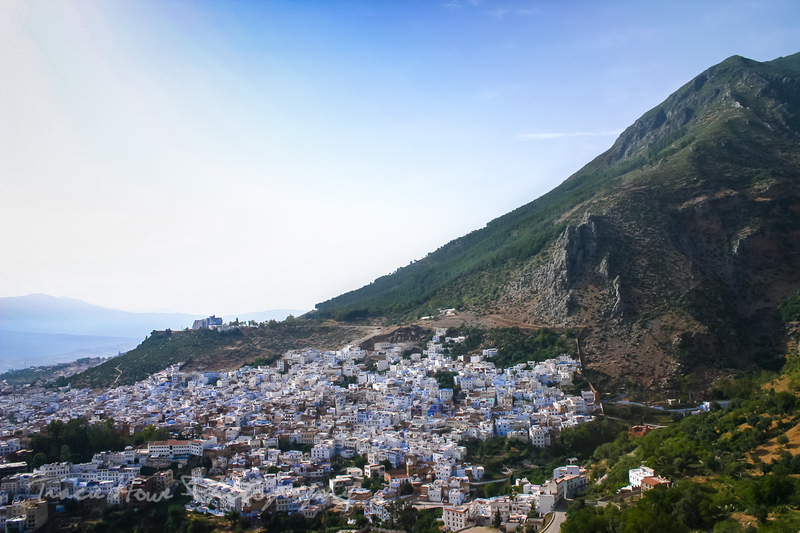 Once Michael and I became more familiar with the places to see in Morocco, Chefchaouen climbed quickly to the top of the list (after the Sahara of course). So, with much anticipation, we arrived by taxi just outside of the Medina gates. The moment we pulled up, we were practically mobbed by people trying to “help” us find a hotel. Being the independent, spontaneous travelers that we were, we chose not to take any of the offers and to find a hotel on our own. We had gotten used to this aggressive attention, which is not unusual in Morocco, and the only way we had found to avoid nasty encounters was sadly to ignore everyone. Savvy as we were, one guy was particularly persistent and ignored our ignoring. Eventually, we had to speak up and refuse his help, but he kept at it. He walked ahead of us for sometime, keeping an eye on where we were. We would pause, pretending to be interested in something, then he would then pause too. Depending on what it was that we were feigning interest in, he would offer up service by his brother or cousin who owned a shop or hotel. When we were just on the verge of yelling at him to scram, we came upon a nice hotel which we quickly entered and booked a room in. Thinking that we had succeeded in slipping away from our stalker, we gave it some time before heading out for a bite to eat. But there he was, waiting for us outside of the hotel! We mentioned wanting food, to which he replied that he had a relative who owned a restaurant. Of course! Seriously, we were sick of this stubborn guy, and wanted to be rid of him. At some point I blew up at him, a most unusual behavior for me, and we argued back and forth. He got pretty angry with us, but finally took off in a huff. Finally! 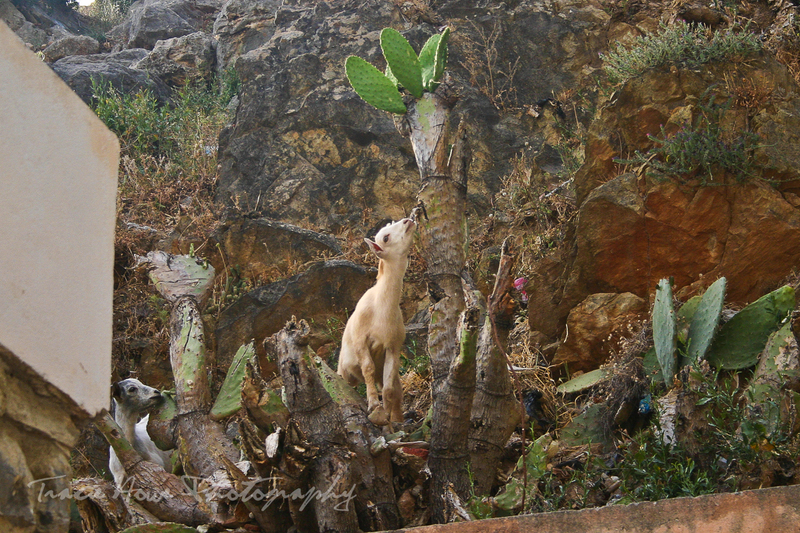 I feared running into him again the entire time we stayed in Chefchaouen, but we were fortunate not to. Not letting that encounter ruin our stay in Chefchaouen, we ended up having a great time in the unique city. It was a nice place to casually explore and relax after some of the more stressful legs of our journey in Morocco. After a bit of down time, we decided to go for a hike into the mountains. We knew there was a trail, because we could see it, but we didn’t know where exactly it went. What better way to find out than to hike it? Like the blue city, the trail was very charming in its own right. 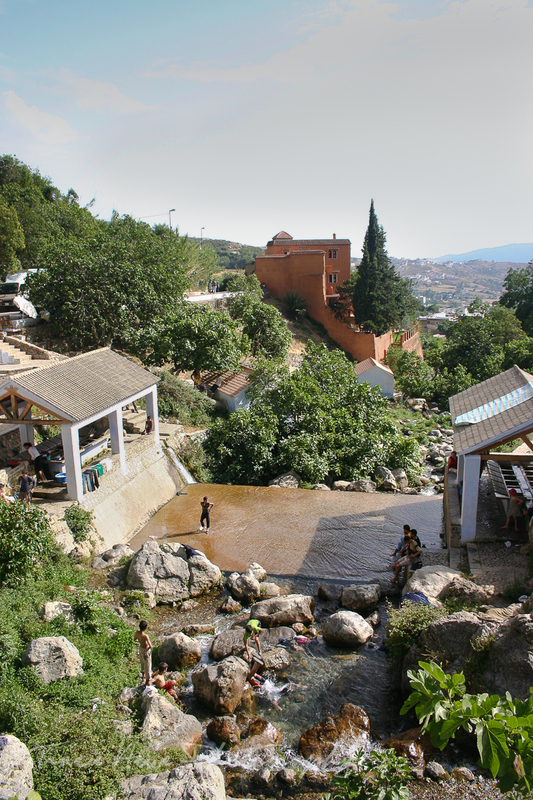 The beginning led us out of the Medina past a river filled with people playing and washing things. 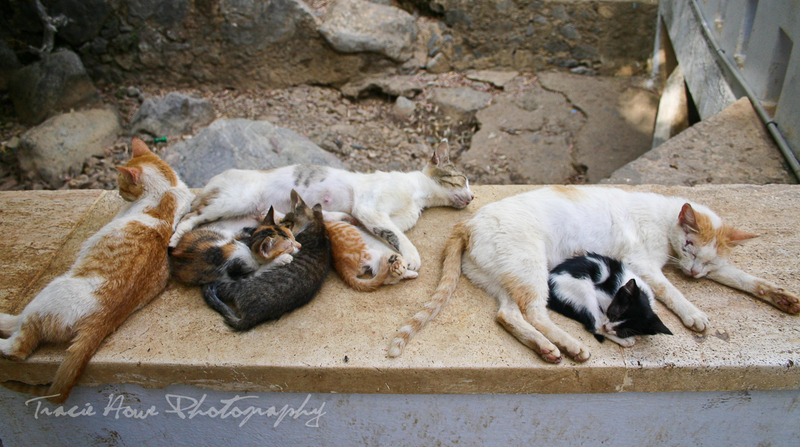 There were cats lazing together and goats munching on whatever it is that goats eat. 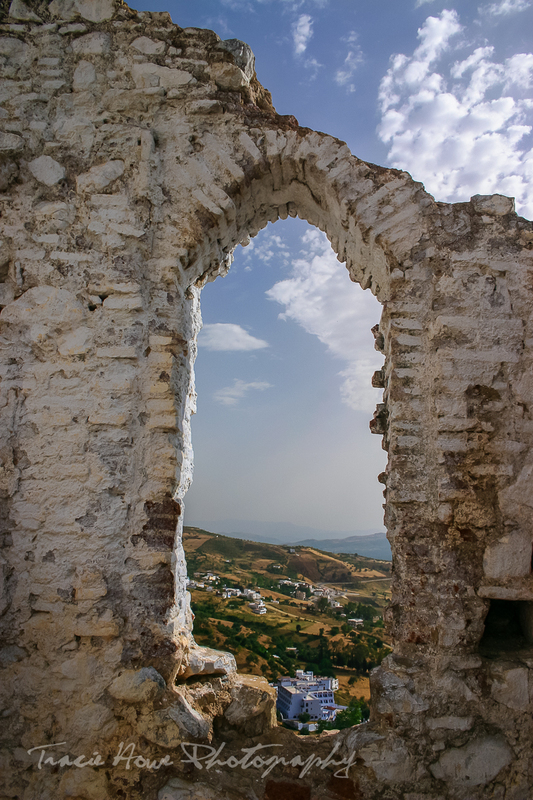 The trail then led up through the foothills, to a ruined mosque from which there were pretty views of the city below. This is where I stopped and Michael continued. He went much further, to the tops of the hills where he noticed something odd. First he saw the sprinklers, then the crops of marijuana, and finally the armed guards protecting the crops from thieves and desperate hippies (I guess). Needless to say, he turned around at this point and came back to tell me the story. The point of these stories, and my travel advice for this post, is to be wary while traveling. Lovely places have the tendency to make you feel safe, but just be aware of your surroundings. I hope that if you’re reading this blog, you are not one to fear life and not take any chances. I certainly am not. I’m just saying to live a fulfilling life, but proceed with caution. 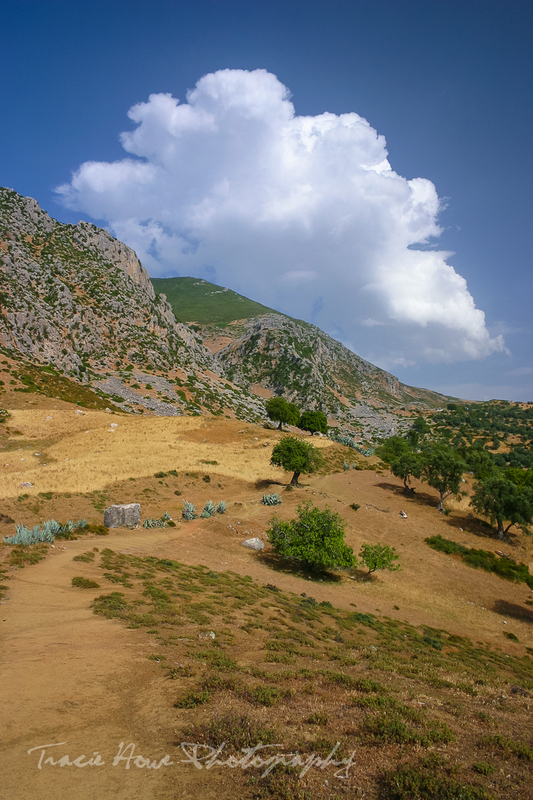 Fortunately, our time in Chefchaouen was one of the very few instances in my travels that I’ve felt threatened in any way, afraid that something bad could happen if we had been less wary. 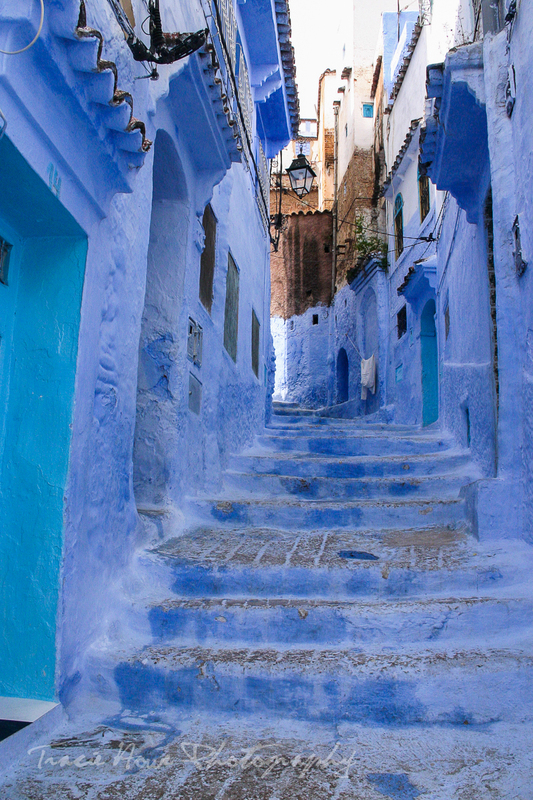 Chris - When we hit Morocco, Chefchaouen was one of my non-negotiables. LOVE these boots for winter hiking!